This post must begin with a preamble on what is SECRET and what must be kept away from the Public which has come up in the 36 Rafale buy whose principles of price etc it is clear were discussed in a Summit between PM Narendra Modi and PM Hollande of France but Defence Ministry did not know what PMO was doing. Hollande lost the elections and Macron needs the deal badly. Supreme court has got involved. Actions to discuss defence deals at highest levels was also done by RM Jagjivan Ram in the Jaguar deal for company diamonds, PM Rajiv Gandhi with PM of Sweden Olaf Palme in a secret breakfast meeting in Delhi with full knowledge of late Defence Secretary Shashi Bhatnagar and IB Director Katre removing Indian Agents supposedly to save the exchequer’s money, but not Foreign Agents per se who collected moneys a la Quatrocchi and others. 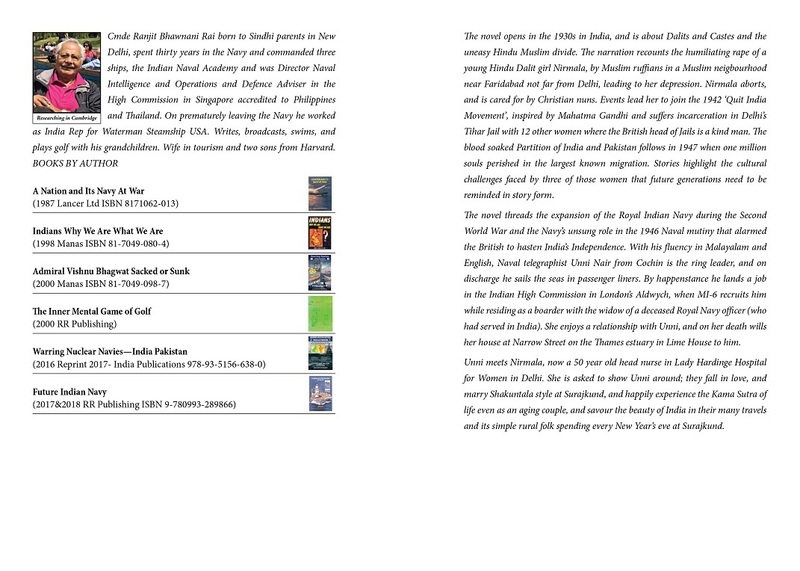 HDW deal was taken over from the Shah of Iran and Hinduja’s were his agents and Ambassador Oza’s book explains it all. Addl Sec Siddhu was involved sent to ICAO in Canada. Inadvertently PM Manmohan Singh discussed the 6 Scorpenes contract in Paris in France first at low cost and then as it was planned, the cost went up by 40% when MDL could not supply the submarine parts CMD was told to sign in a contract. The programme got delayed and became more expensive and Lt Cdr Sankaran is still not traceable. He can be tracked by Indian Intelligence if it wants. Indian Intelligence is good only when it wants and Navy used it and Tamil staff in Op Pawan when it noticed RAW had a mole and two movies have been made on it ! Also read books by Raman and Dulat and others on Kudremah iron ore mines and Lal Dora (Suntook) etc. No foreign or Indian defence deal in India has ever met its deadline despite DPPs and most large deals have been mired in corruption including the recent ‘Off The Shelf 36 Rafale deal’, now in Supreme Court and steered personally by PM Modi despite his personal push for Make In India. In most such cases the money trail has never been proved as CBI even today pursues the Agusta 101 helicopter deal with vigour and CBI has seen fall of a Ranjit Sinha caged parrot and an Asthana and a Verma and even implicated a former Chief of Air Staff, possibly as a Cat’s Paw explained in IDF’s last post. PM Modi had good intentions to link Rafale payment for Areva nuclear plants it is reported. All defence skullduggery is linked with politics, and big money and offsets which harms the nation’s defence preparedness and with no CDS one service never understands what is happening in the other and MOD has a part file that services never see, with high classifications and some disappear. The OSA 1923 crafted by the British is also used freely , unaware that the only secret of a service is the operational readiness, war plans, contingency plans, table top exercises results and intentions and Confidential Annual Reports (ACRs). The details of weapons and capabilities and approximate costs are well publicized worldwide, but Governments use the OSA pretext when they want to take action. War Room leak was a sad instance to divert, and Intelligence in India is powerful and good when it wants to act and confuse lower courts. Much evidence disappears and charges are reduced or increased. The recent swoop in hours by hundreds of Intel operatives on opposition parties on orders in Rajasthan and elsewhere on exact latitude and longitude of huge cash stashed in 50 locations and how it moved is credit to IB, RAW and Income Tax Investigators and Department of Revenue Intelligence’s (DRI) actions as they have electronic means and help from Interpol and FATF in Belgium to track laundered money. But Intelligence acts only when ordered ! Cdr Jadav in custody in Pakistan was portrayed as worse than Massood Azar for his supposed actions in Baluchistan by a Pakistani delegate in China flashing a passport of a Patel who looks like him. The case is in ICJ which is not a trial court so Advocate Salve argues for Consular access and Jadhav a former naval officer turned businessman they say, suffers! In countries a swap takes place in doubtful cases. But in all this, what has harmed India is its Navy’s underwater attack and defence capability most. 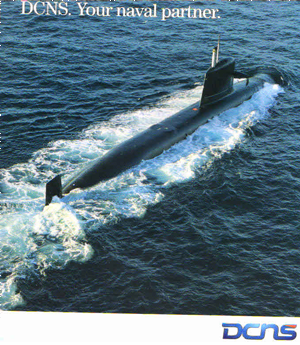 By 1994 India had become a world class conventional submarine builder by building two HDW-1500 boats INS Shishumar and Shalki with Atlas SUT-B wire guided torpedoes at Mazagon Dock’s East Yard, but further planned submarines were cancelled. The HDW and Hindujas as Agents for the Shah of Iran got mired in corruption charges, and HDW was blacklisted, but no wrong doing was ever proved. A Vice Chief and Commodore of the Navy suffered ignominy at CBI’s hands defended by brilliant middle aged Advocate Venugopal so he knows the game now in his 80s. The highly qualified 150 officers and many sailors who went to Kiel and Lubeck and trained at Professor Gabler’s Submarine Design Institute as welders, artificers and engineers of MDL and Indian Navy became redundant. East yard at MDL was neglected. It was a loss to the nation. India’s submarine strength began dwindling as Foxtrot class boats de-commissioned from a high of 20 submarines in Indian Navy’s ORBAT. In 1997 Navy tabled a two line 30 year submarine building programme with time lines which was accepted by the Government. It was only in 2005 that six Scorpene conventional submarines was ordered at MDSL with Armaris a combine of Navantia and DCNS. 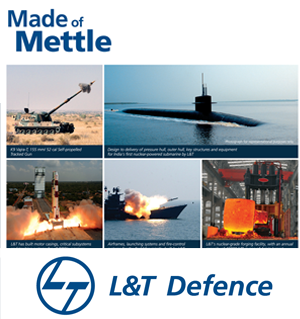 However the contract was flawed and MDSL could not supply items it had signed for which led to cost escalation by imports and delayed the project. Navantia walked out. Finally the first DCNS now Naval Group submarine INS Kalvari was commissioned on in 2017 by PM Modi with a promise of one submarine a year which too has not happened. The Navy’s surface strength is also falling with no new big ships on the horizon in 2018-2019 as 5 Catamaran Survey Ships and 5 OPVs by Reliance Defence are not progressing and 3 Training ships have been cancelled and costs have escalated. 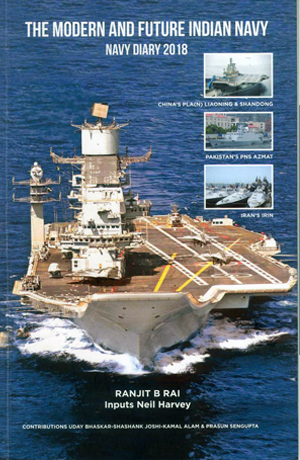 Ships need multi role helicopters and Scorpenes need torpedoes to keep up with China. It is to the credit of the Chief Justice of India to bring home that India is still a vibrant democracy and he has quoted the case of Pentagon Papers in US Supreme Court another democracy to say that classified papers that deal with financial matters etc can come in to the public domain and refused arguments by the elderly AG, who has leaned on his days in the HDW deal to argue for the Government but has failed in the first instance and a lot will depend if PM Narendra Modi is returned to power which looks most likely to see OSA 1923 is used and surprisingly it was not used against Hindu’s Mr N Ram who got the classified papers. CJI’s two colleagues on the bench have surprisingly agreed and seen what is secret and what is not as in India officials use the Stamp like they use Toilet paper. The case of Capt Subba Rao who carried a DNI DECALSSIFIED Secret file of BARC on the simple skeleton design of a nuclear submarine he had designed from open US and Soviet publications and visits to Indian Nuclear plants spent time in custody and court till he did law and defended himself and proved there was nothing SECRET about it and CJI and colleagues agreed. 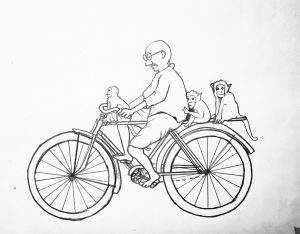 Indians over classify files in an internet era and as an emotional creed, politicians use it for personal vendetta also. This was the case in Subba Rao but Navy gained. DAE/BARC changed their submarine reactor design from Plutonium to Uranium for the Arihant and books have been written on this. 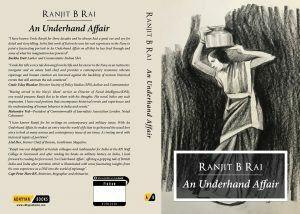 Read UNDERHAND AFFAIR to be educated if you can afford Rs 250 to be entertained also. .